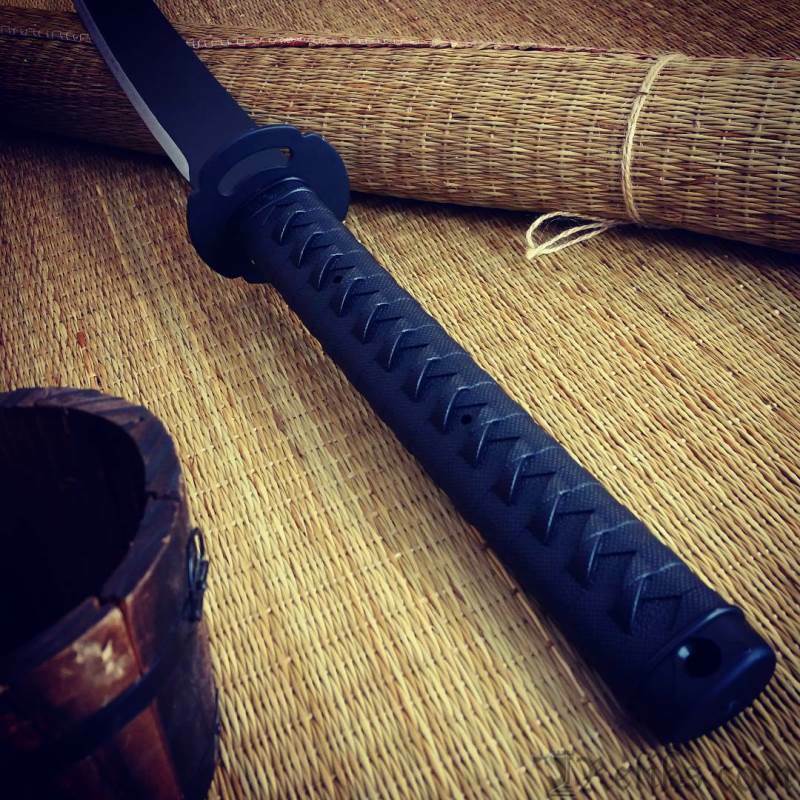 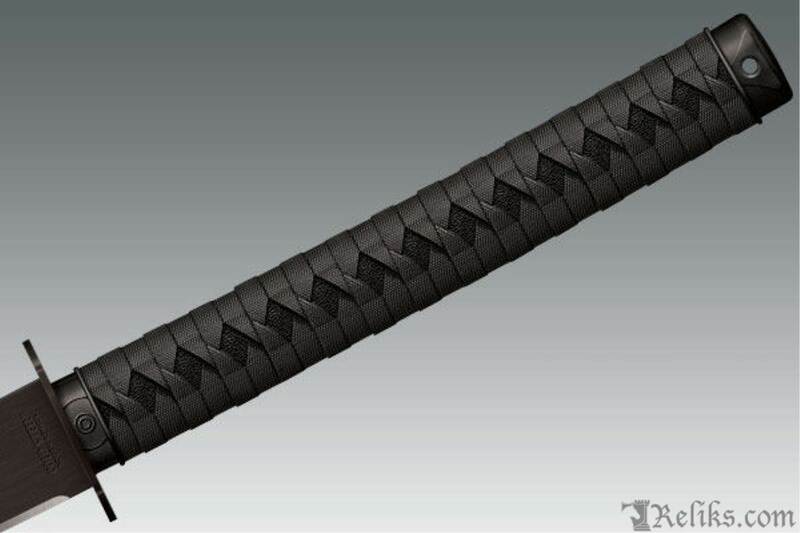 The latest addition to our Katana Machete series, this tactical machete is closely modeled after Cold Steels popular and record breaking Warrior Series Katana. 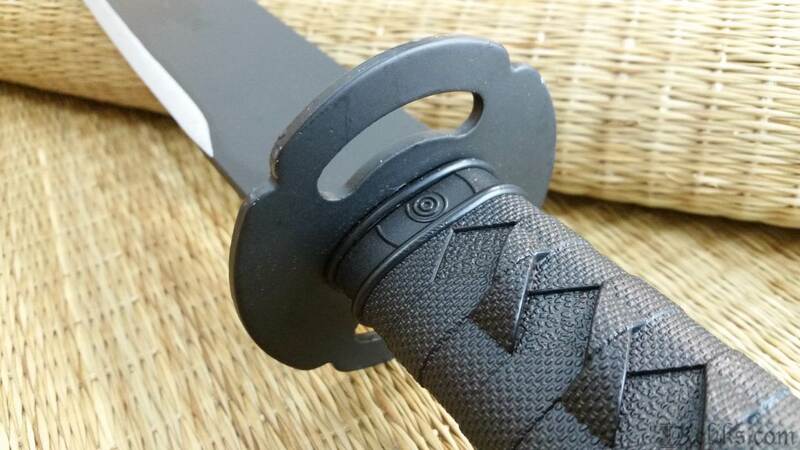 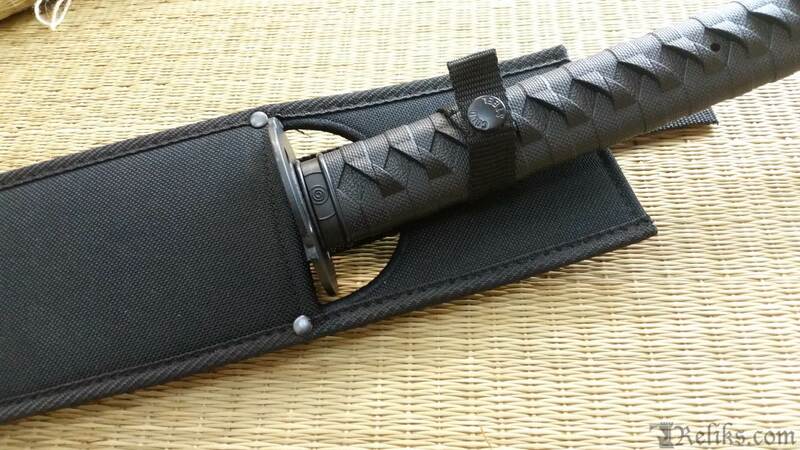 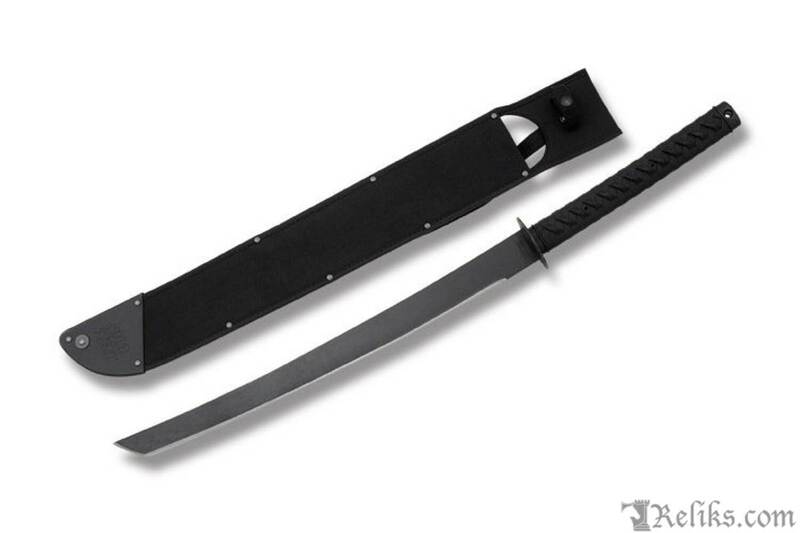 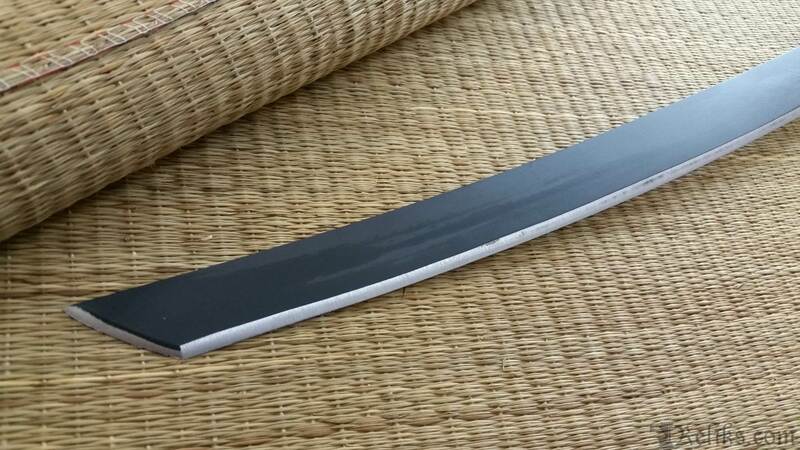 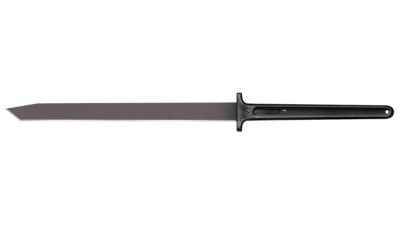 With its deeply curved blade, it offers more "sword-like" cutting performance, and with its broad full tang, solid steel tsuba and injection over-molded high impact polymer handle its incredible durable. 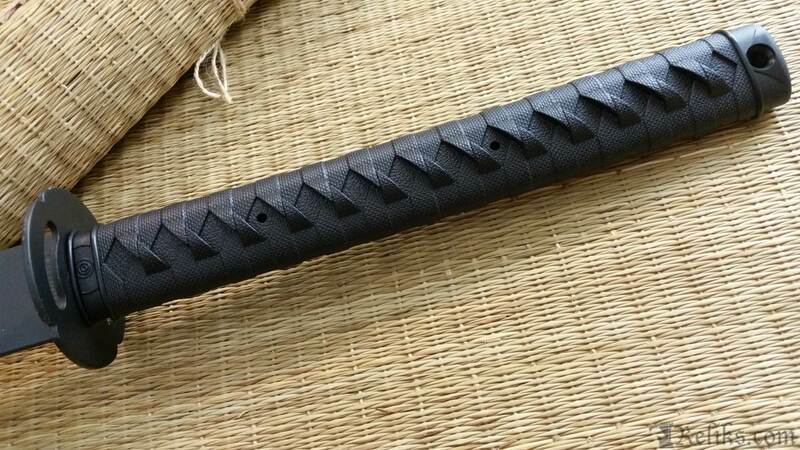 We spared no expense to re-create the look of a traditional cord wrapped handle, fushi and kashira but using modern materials that will not shrink, warp, tarnish or rot and require very little maintenance to retain peak performance. 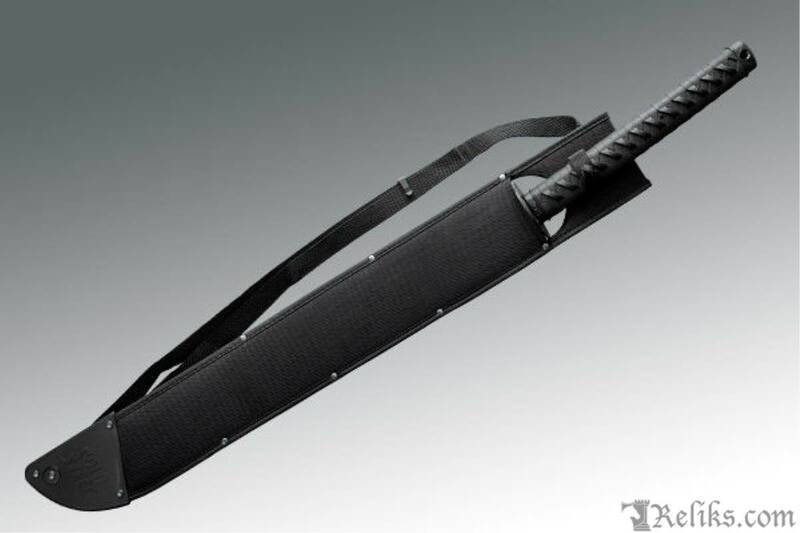 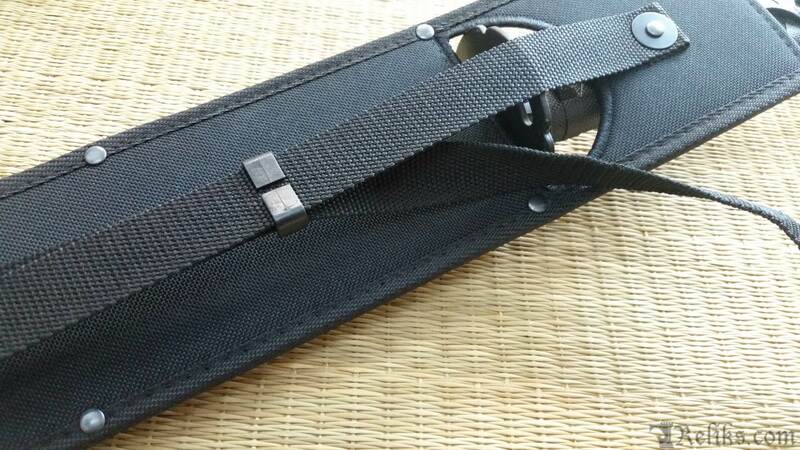 Comes complete with a Cor-Ex™ back sheath for ease of carry and storage.